The CARE Program (Community Action for Responsive Education) provides a high quality alternative education program for at-risk students in grades 7-12. The program builds upon student strengths and assets while identifying and developing areas of need. The program is designed so that students will be successful, even though they may have had difficulty in meeting the behavioral and academic standards necessary to thrive in a traditional school setting. A lower student to teacher ratio is maintained to help ensure improved behavior and academic performance. An individual learning plan is carefully developed and followed for each student. Communication and partnership with parents are central elements of the program. This innovative program, which is currently offered at three area schools, is operated in partnership with local school districts. Service is provided at the student's district of residence school. Each student is referred by their local school or their parents. The program is built on the partnership between school, students, and parents/guardians. A CARE team develops strategies to help students become successful academically and behaviorally. In order to ensure success for our students in meeting California State Standards, we utilize creative and innovative educational strategies. Our goal for our students is to become positive and contributing members of their community. Curriculum is centered on state academic standards while taking into account individual needs and learning styles. Students attend a full day academic program geared for successfully earning a middle or high school diploma. 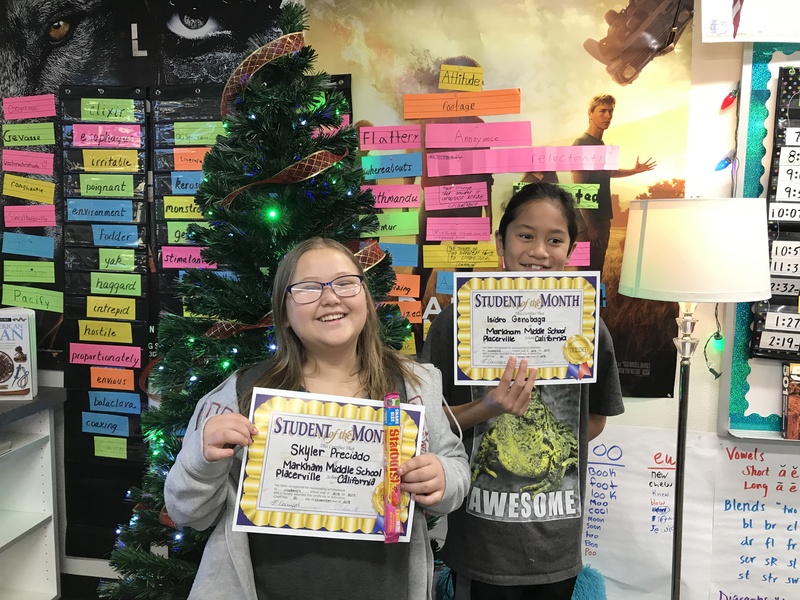 Sixth-grade students, Isidro Genobaga and Skyler Preciado, received Edwin Markham "Students of the Month" awards! Charter CARE Program students TEACH their way to a healthier lifestyle. The TEACH program is sponsored through a grant by the Center for Violence-Free Relationships in Placerville. Students learn to express themselves as they build healthy relationships and develop active bystander intervention skills. This innovative education strategy aligns with the Community Action for Responsive Education (CARE) Program’s core values, which focus on a rigorous academic program and maintaining a strong partnership between students, parents, and teachers. CARE provides a high-quality, alternative education program for at-risk students in grades 7-9 and builds upon student strengths as they prepare for high school, college, and beyond. The program is designed for students to be successful even though they may have difficulty meeting the behavioral and academic standards necessary to thrive in a traditional school setting. A lower student-teacher ratio helps ensure improved behavior and academic performance. TEACH students participate in a variety of activities including, art, drama, games, and group discussions that solve peer issues and concerns. Community guest speakers, written letters, and care packages sent to U.S. Navy members have been highly successful with the 7th and 8th grade students. Communication and partnership with parents, teachers, and the community are central elements of the CARE program. Charter CARE Programs are available at two middle schools and one high school campus in El Dorado County. For more information about Charter’s CARE Program, visit our website at care.edcoe.org, or call (530) 295-2259.